The Club date’s carried over, along with Classic Shell outfits, into the 70’s. Obviously undergoing much of the same changes in brackets, badges, and mufflers. Lugs, spurs, and 3-ply maple/poplar shell mold remained the same. By 1975, the Ludwig Club Date outfit was no longer cataloged, and soon there after unavailable. 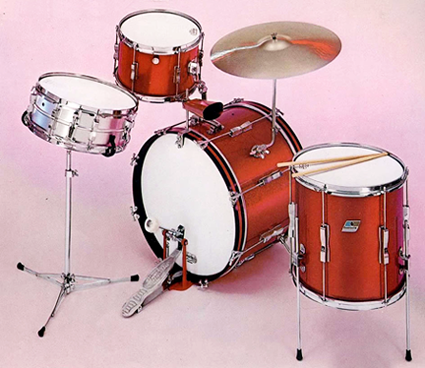 Club dates were no longer in demand with the demand for bigger more rugged drums in the 70’s. This would lead to its demise.